'An unforgettable, unmissable book for the new global feminist.' The Times 'All the men I did get to know filled me with but one desire: to lift my hand and bring it smashing down on his face.' So begins Firdaus's remarkable story of rebellion against a society founded on lies, hypocrisy, brutality and oppression. Born to a peasant family in the Egyptian countryside, Firdaus struggles through childhood, seeking compassion and knowledge in a world which gives her little of either. As she grows up and escapes the fetters of her childhood, each new relationship teaches her a bitter but liberating truth - that the only free people are those who want nothing, fear nothing and hope for nothing. This classic novel has been an inspiration to countless people across the world. 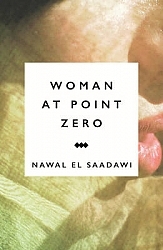 Saadawi's searing indictment of society's brutal treatment of women continues to resonate today.